Forests are sometimes called the lungs of the earth — they breathe in carbon dioxide in the atmosphere and store it in tree trunks until the forest dies or burns. A new study, however, shows that forests devastated by drought may lose their ability to store carbon over a much longer period than previously thought, reducing their role as a buffer between humans’ carbon emissions and a changing climate. The study, published Thursday in the journal Science by a team of by researchers at the University of Utah and Princeton University, shows that the world’s forests take an average of between two and four years to return to their normal growth and carbon dioxide absorption rate following a severe drought — a finding that has significant climate implications. 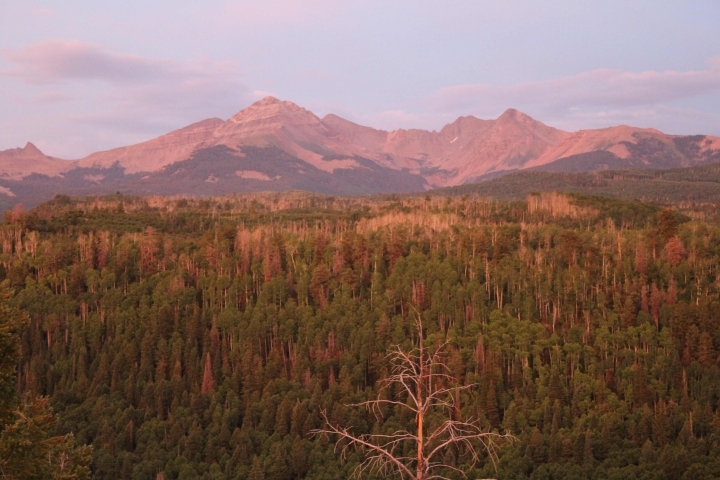 Colorado forests are still recovering from drought. “This means that these forests take up less carbon both during drought and after drought,” study lead author William Anderegg, an assistant professor of biology at the University of Utah and a researcher at Princeton University, said. Forests act as a carbon sinks by absorbing human-emitted carbon dioxide from the atmosphere and storing it in trees’ woody roots and stems. As climate change affects forests, they’ll store less carbon dioxide because drought stresses them and hinders their ability to grow, making man-made global warming even worse. Eventually, forests could become a source of carbon instead of storehouse of it. Using tree ring data, Anderegg’s team measured the recovery of tree stem growth following droughts dating back to 1948 in more than 1,300 forests worldwide. The average length of growth recovery in forests across the globe ranged from two to four years. Tree growth on average was 9 percent slower than normal during the first year following a drought and 5 percent slower in the second year. The driest forests recovered the slowest. 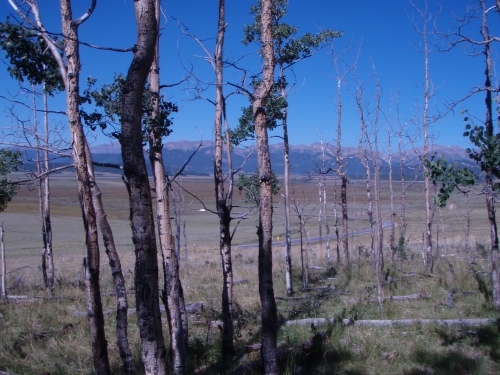 Drought-damaged forests in the Rocky Mountains could take years to recover. Scientists unaffiliated with the study said it highlights a flaw in climate models and can help update their assumptions about the ability of forests to sequester carbon. There has long been reason to expect that forests could take many years to recover from drought, “but it was previously impossible to estimate so even our most sophisticated large-scale models have essentially ignored it,” Ayres said. Editor’s Note: Stephen W. Pacala, a member of Climate Central 's board of directors and a Princeton University ecology professor, is one of this study’s 13 co-authors.